There many benefits associated with community gardens. joining a community garden is a great option. 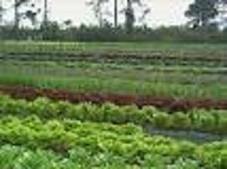 ​making it an affordable option if you are just getting started with growing your own food. If you don't have a community garden in your area - why not start one? It is a great way to build community, food connects us all. Another option is to garden share with someone who has a garden or land. The Legacy Community Gardens at the Farm Centre at 420 University Ave has 150 private plots for rent to the public. This eight acre site in the heart of Charlottetown includes a charity (production) garden and orchard. People can volunteer in the production garden and receive a share of the harvest. Contact Phil at the Farm Centre for more info. Wilfred J Smith Community Garden was sold in 2018 and the garden plots have been moved to The Mount. ​Desbrisay Community Garden, Desbrisay Crescent, downtown Charlottetown. This garden was initiated in 2001 by the Cooper Institute in collaboration with the City of Charlottetown through an initiative that focused on sustainability in an urban environment. The City of Charlottetown provides water and lawn maintenance. There is a waiting list for plots. Victoria Park raised beds community gardens is located beside the Victoria Park ball diamonds. These beds are maintained by the City of Charlottetown and the food is available to the general public. 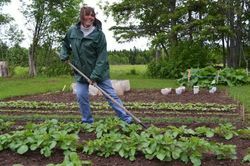 The City has identified locations in Charlottetown where they would support a community garden should a community group come forward. Contact the Sustainability Officer to learn more. 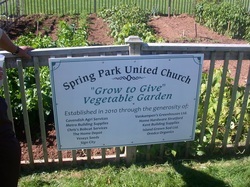 ​Spring Park United "Grow to Give" garden is located at 65 Kirkwood Drive, Charlottetown. This garden is a private church sponsored garden and the produce grown is donated to the food bank. Lots of great urban gardening ideas can be found in this well cared for garden. Contact the church office if you are interested in volunteering. 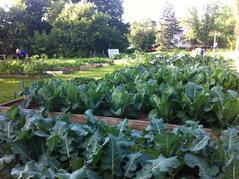 ​Stratford Community Gardens is located in Cotton Park, Stratford and has plots for rent. 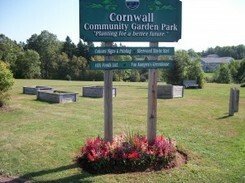 ​Cornwall Community Garden is located on MacArthur Drive in the town of Cornwall. There are limited plots available, call 902 566 2354. ​Blu Meadows in Cornwall area is a private farm making plots available to individuals. Their mission is to provide a traditionally chemical free platform for families and Individuals to eat healthy and nutritious produce grown from their own harvest. 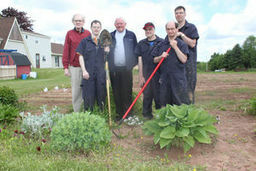 ​Notre Dame Community Garden in Summerside is located at the corner of Central and Notre Dame Street. This is a communal garden where people work together in the garden and share the harvest (not individual private plots). ​O’Leary Legion-sponsored project on Willow Ave, O'Leary. New in 2016. The O’Leary Farmers Co-op is providing nearly an acre of land for the gardening project and has offered discounts on seeds. There is a plan to have food skills workshops. Contact Colleen O'Halloran. 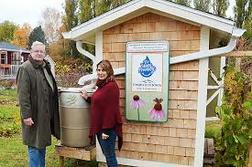 ​Hillcrest Community Garden is an initiative of the Hillcrest United Church in Montague. People are offered plots to grow vegetables for their own use. 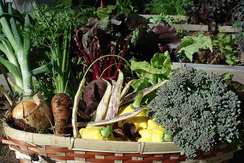 Many personal garden plot growers also have pledged a portion of their produce for the local Food Bank. Call 902 838 2698. Plots are all spoken for in 2017 and the garden may expand in 2018. ​Montague Community Garden, is next to Family First in Montague and has space available for anyone interested in planting. The plots are free of charge and for more information call Mr O’Halloran at 838-2074 or 838-3858. Souris Lions Community Garden in CN Park at Chapel and Pond where residents can plant their own vegetable gardens.